We (“Us”, “Our”), the Operators of this Website, provide it as a public service to our users. Please carefully review the following basic rules that govern your use of the Website. Please note that your use of the Website constitutes your unconditional agreement to follow and be bound by these Terms and Conditions of Use. If you (the “User”) do not agree to them, do not use the Website, provide any materials to the Website, transmit any of the information on the Website, or download any materials from the Website. You may use the Website for the sole purpose of sharing and exchanging ideas with Us. You may not use the Website to violate any applicable local, state, national, or international law, including without limitation any applicable laws relating to antitrust or other illegal trade or business practices, federal and state securities laws, regulations promulgated by the U.S. Securities and Exchange Commission, any rules of any national or other securities exchange, and any U.S. laws, rules, and regulations governing the export and re-export of commodities or technical data. You are expressly prohibited from compiling and using other Users’ personal information, including addresses, telephone numbers, fax numbers, email addresses or other contact information that may appear on the Website, for any means, including but not limited to the purpose of creating or compiling marketing and/or mailing lists and from contacting other Users. Any such action will be deemed a material breach of these Terms and Conditions of Use, and We reserve the right to terminate or suspend your access to and use of the Website. The Operators note that unauthorized use of Users’ personal information may constitute violations of various state and federal anti-spam statutes. The Operators reserve the right to report the abuse of Users’ personal information to the appropriate law enforcement and government authorities, and the Operators will fully cooperate with any authorities investigating violations of these laws. 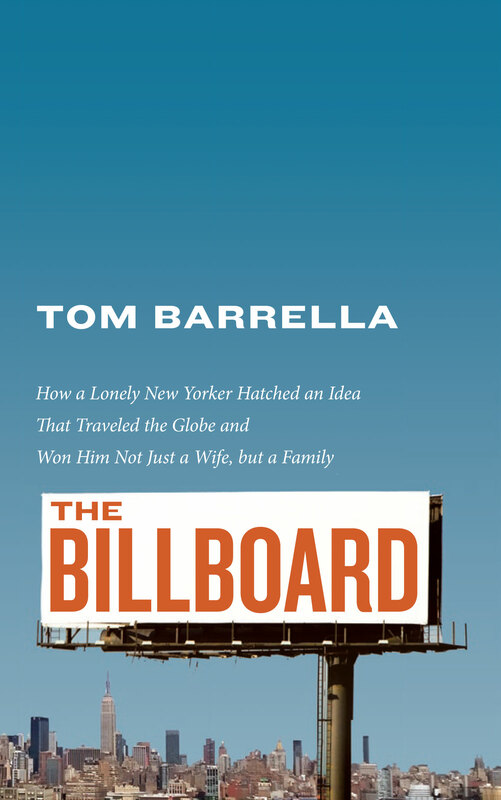 Unless otherwise noted, the copyright for all content is held by Tom Barrella . You may and are encouraged to share site articles and cartoons via conventional social media sharing tools which share the content by providing a hyperlink back to the content at this Website. With regard to cartoons, you may copy and post a cartoon to another website on the condition that the cartoon is copied in its entirety and that the existing wording “(c) 20xx. Tom Barrella. Tommentary.com” is clearly legible. With regard to articles, you may copy and post an article to another website on the conditions that: i) the title is not changed, ii) no more than the first half of the article (by word count) is posted, and iii) immediately below the last line, the phrase Continue reading at Tommentary.com, (or a substantially similar phrase) appears that is hyperlinked back to the original article at this Website. The does not apply to any content that we agree to allow another website to post before it appears on this Website. As a User, you may post or submit content to the Website. You understand that whether or not such User-Generated Content is published, We do not guarantee any confidentiality with respect to any User-Generated Content. You shall be solely responsible for your own User-Generated Content and the consequences of posting or publishing it. In connection with User-Generated Content, you affirm, represent and/or warrant that you own or have the necessary licenses, rights, consents and permissions to use and authorize Us to use all patent, trademark, trade secret, copyright or other proprietary rights in and to any and all of your User-Generated Content to enable use of the User-Generated Content in the manner contemplated by the Website and these Terms. For clarity, you retain all of your ownership rights in your User-Generated Content. By submitting your User-Generated Content to the Website, you hereby grant Us a worldwide, perpetual, irrevocable, non-exclusive, royalty-free, sub-licensable and transferable license to use, reproduce, distribute, prepare derivative works of, display, and perform the User-Generated Content in connection with the Website, including without limitation for promoting and redistributing part or all of the Website (and derivative works thereof) in any and all media formats and through any and all media channels. You also hereby grant each User of the Website a non-exclusive license to access your User-Generated Content through the Website and to use, reproduce, distribute, display and perform such User-Generated Content as permitted through the functionality of the Website and under these Terms. You further agree that you will not submit material that is: (a) copyrighted, protected by trade secret or otherwise subject to third party proprietary rights, including without limitation privacy and publicity rights, unless you are the owner of such rights or have permission from their rightful owner(s) to post the material and to grant Us all of the license rights granted herein; and (b) in connection with User-Generated Content, contrary to applicable local, national, and international laws and regulations. We encourage You to comment and remind You that You are solely responsible for Your comments. Our goal is to maintain a community where readers feel free to express themselves in a mature and reasoned manner. We encourage comments that are civil, brief, “on point” and which add informed perspective to the issue at hand. We discourage comments that are off topic, inflammatory, abusive, unoriginal, or which promote a product or service. We reserve the right to decline to approve comments, remove comments and/or close comments on article pages without notice. Although We may from time to time monitor the Content posted on the Website, We are under no obligation to do so. We attempt to create a safe and supportive environment for all individuals by taking measures to prevent offensive behavior but We make no guarantee with respect to your experience of the Website. You understand that content posted by a User is based on that person’s opinion and experience and that the We do not endorse nor guarantee the accuracy of any User-Generated Content and cannot be held liable for any damages incurred as a result of the submission or use thereof. The Operators may, but are not obligated to, monitor or review any areas on the Website where users may transmit or post communications on the Website or communicate solely with each other, including but not limited to user forums and email lists, and the content of any such communications. The Operators, however, will have no liability related to the content of any such communications, whether or not arising under the laws of copyright, libel, privacy, obscenity, or otherwise. The Operators may edit or remove content on the Website at their discretion at any time. If the Website allows you to register, you agree to provide true, accurate, current, and complete information when registering with the Website. It is your responsibility to maintain and promptly update this account information to keep it true, accurate, current, and complete. If you provide any information that is fraudulent, untrue, inaccurate, incomplete, or not current, or we have reasonable grounds to suspect that such information is fraudulent, untrue, inaccurate, incomplete, or not current, we reserve the right to suspend or terminate your account without notice and to refuse any and all current and future use of the Website. The Website is hosted in the United States. The Operators make no claims that the Content on the Website is appropriate or may be downloaded outside of the United States. Access to the Content may not be legal by certain persons or in certain countries. If you access the Website from outside the United States, you do so at your own risk and are responsible for compliance with the laws of your jurisdiction. The provisions of the UN Convention on Contracts for the International Sale of Goods will not apply to these Terms. You may give notice to Us by using the Contact form. Such notice must contain the phrase “LEGAL NOTICE” in the first line of the communication. Should the notice regard the issue of copyright, for notice to be deemed legally sufficient it must meet all of the requirements set out in the section “Notification of Possible Copyright Infringement” below. If any provision herein is held to be unenforceable, the remaining provisions will continue in full force without being affected in any way. Further, the parties agree to replace such unenforceable provision with an enforceable provision that most closely approximates the intent and economic effect of the unenforceable provision. Section headings are for reference purposes only and do not define, limit, construe or describe the scope or extent of such section. The failure of the Operators to act with respect to a breach of this Agreement by you or others does not constitute a waiver and shall not limit the Operator’s rights with respect to such breach or any subsequent breaches. Any action or proceeding arising out of or related to this Agreement or User’s use of the Website must be brought within the geographic area of the U.S. Federal Court system’s 2nd Circuit, and you consent to the exclusive personal jurisdiction and venue of such courts. Any cause of action you may have with respect to your use of the Website must be commenced within one (1) year after the claim or cause of action arises. These Terms set forth the entire understanding and agreement of the parties, and supersedes any and all oral or written agreements or understandings between the parties, as to their subject matter. The waiver of a breach of any provision of this Agreement shall not be construed as a waiver of any other or subsequent breach. The Website may contain links to sites owned or operated by independent third parties. These links are provided for your convenience and reference only. We do not control such sites and, therefore, we are not responsible for any content posted on these sites. The fact that the Operators offer such links should not be construed in any way as an endorsement, authorization, or sponsorship of that site, its content or the companies or products referenced therein, and the Operator reserves the right to note its lack of affiliation, sponsorship, or endorsement on the Website. If you decide to access any of the third party sites linked to by the Website, you do this entirely at your own risk. Because some sites employ automated search results or otherwise link you to sites containing information that may be deemed inappropriate or offensive, the Operator cannot be held responsible for the accuracy, copyright compliance, legality, or decency of material contained in third party sites, and you hereby irrevocably waive any claim against us with respect to such sites. Your name, address, telephone number, and a statement that you consent to the jurisdiction of the Federal District Court for the judicial district in which your address is located or, if your address is outside of the USA, for any judicial district in which We may be found, and that you will accept service of process from the person who provided notification of the alleged infringement or an agent of such person. If a counter-notice is received by Us, We may send a copy of the counter-notice to the original complaining party informing that person that it may replace the removed content or cease disabling it in 10 business days. Unless the copyright owner files an action seeking a court order against the content provider or the User, the removed content may be replaced, or access to it restored, in 10 to 14 business days or more after receipt of the counter-notice, at Our sole discretion. We suggest that you consult your legal advisor before filing a notice or counter-notice. Also, be aware that there can be penalties for false claims under the DMCA. We will terminate a User’s access to the Website if, under appropriate circumstances, You are determined to be a repeat infringer. 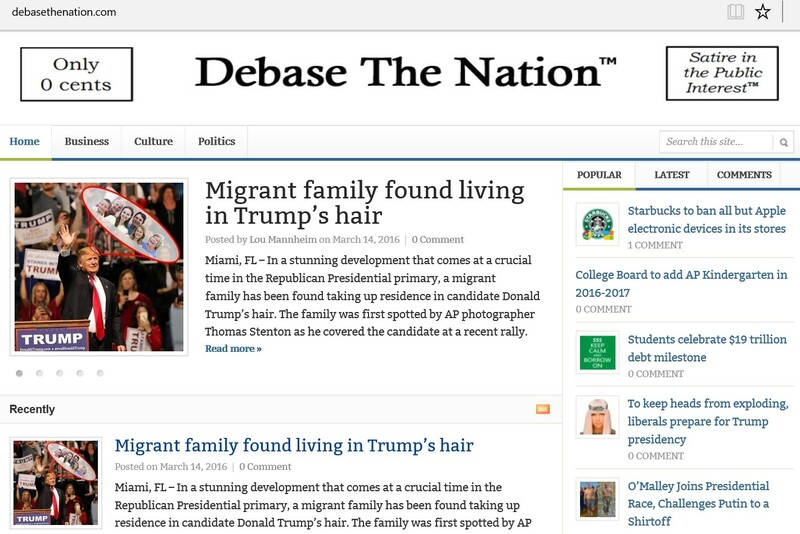 DebaseTheNation is a lighthearted look at the world. With the gravity of the events going on around us, it's a challenge to find the levity. Investeach is the site I developed to assist with instruction of my students. The true story about the lengths to which I went to find a mate. It's an extraordinary tragicomedy whose every word is true. Tommentary is a trademark of Tom Barrella. (c) 2017 Tom Barrella. All rights reserved.